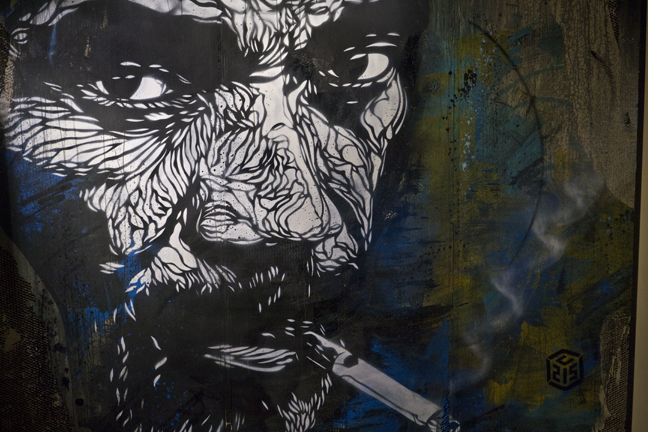 Is street art … art? 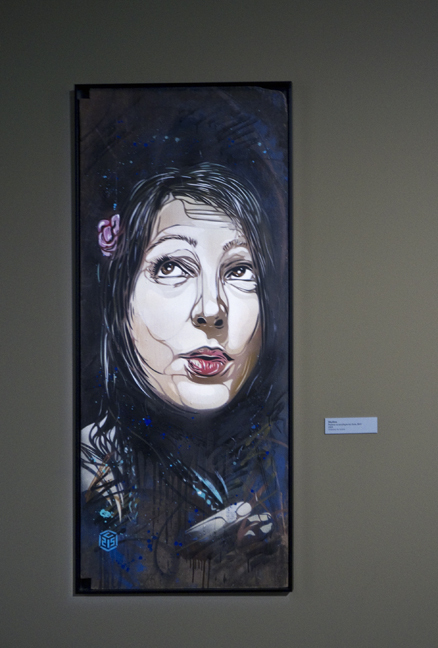 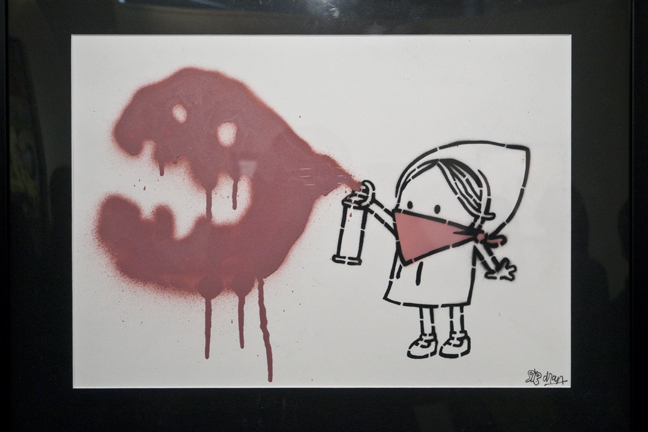 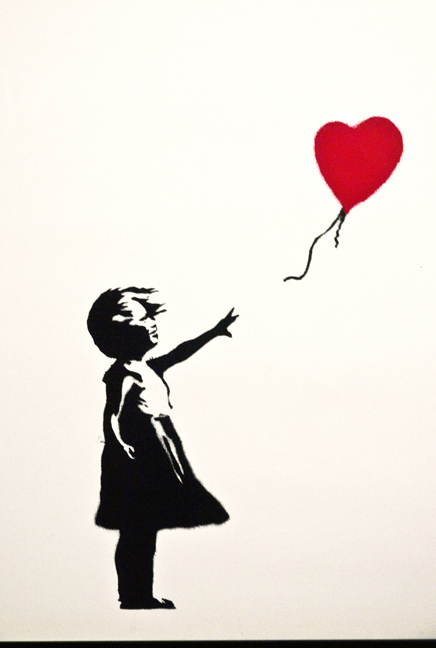 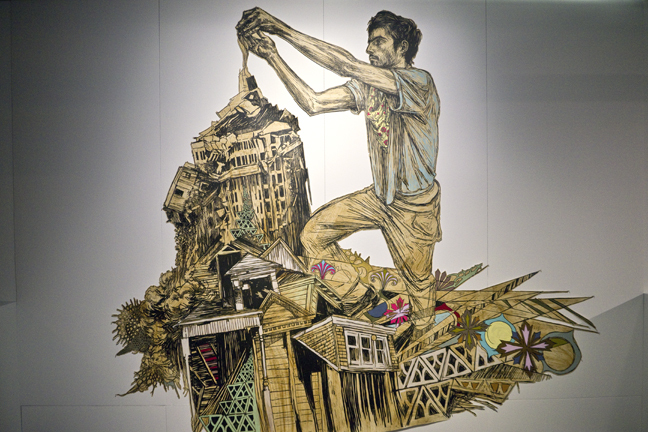 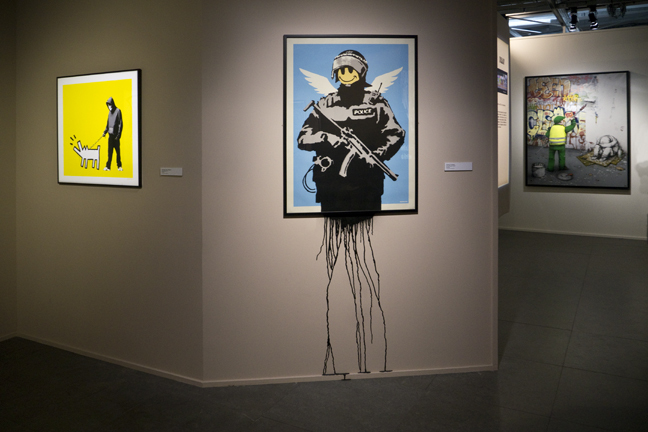 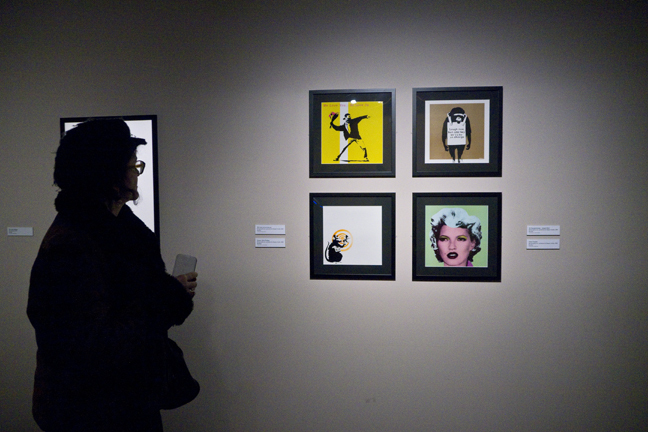 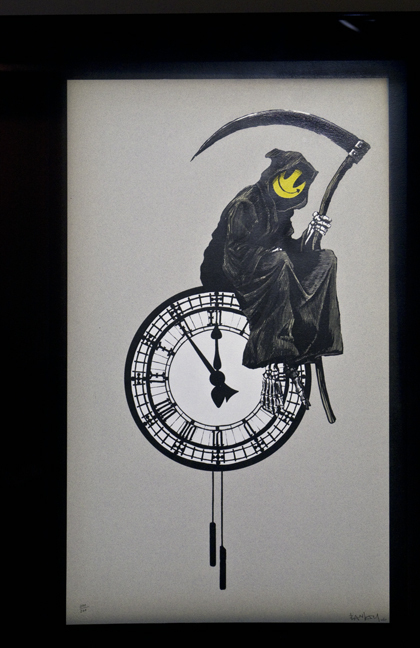 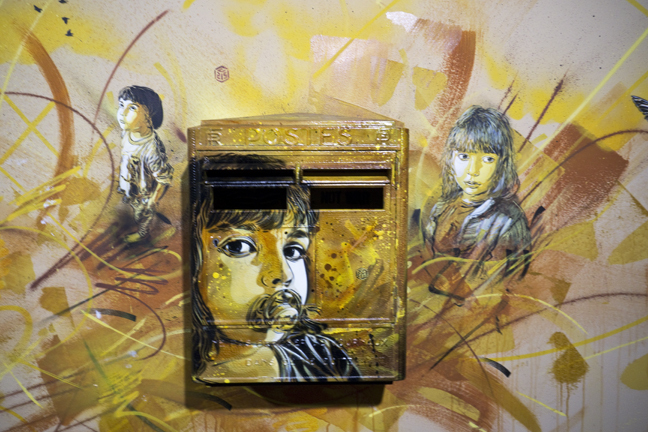 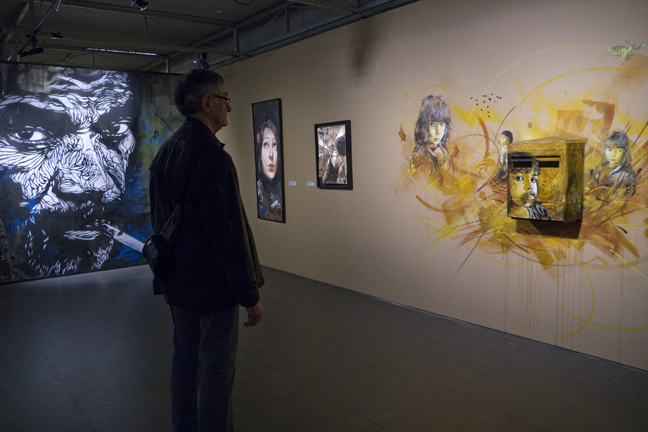 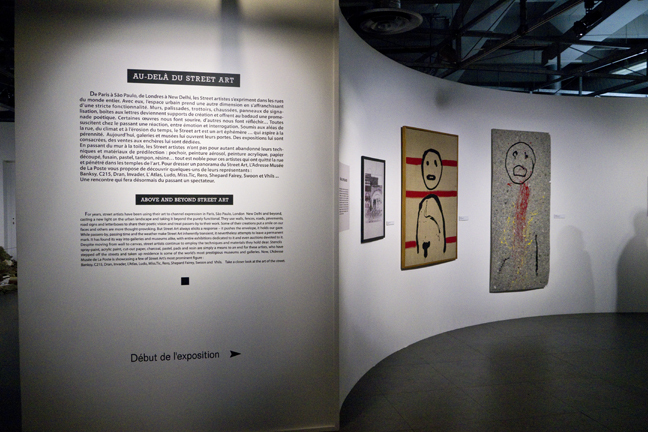 The exhibit Au-delá du Street Art brought together the work of many well-known urban artists including Miss.Tic, Banksy, Dran, Invader, Swoon and Shepard Fairey. 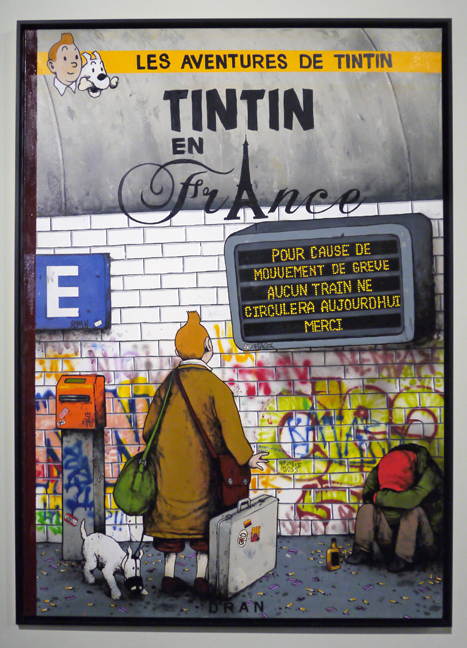 I loved Dran’s droll take on TinTin’s adventures in France. 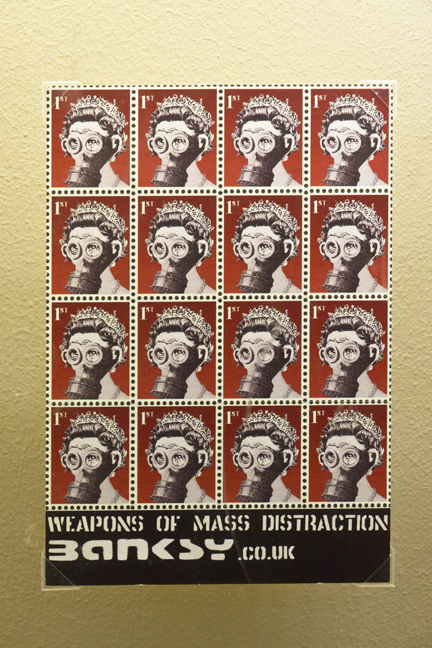 “Because of a strike, no trains will run today,” reads the sign. 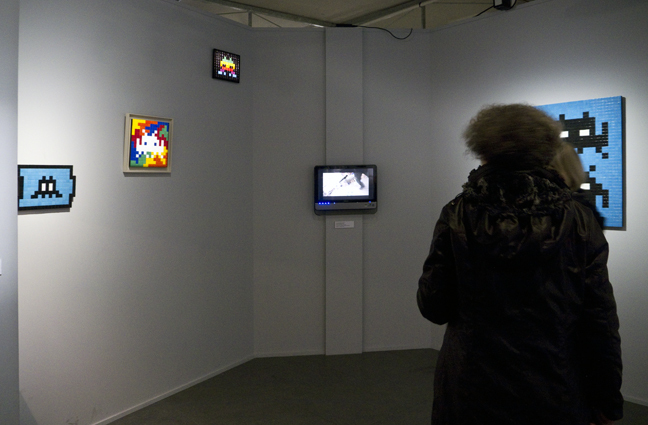 I also loved seeing Invader’s mosaics up close, along with a video of him working. 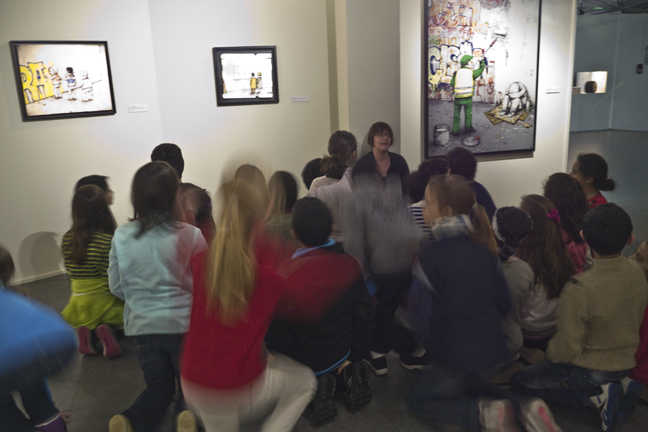 … and charmed or moved by a few others. 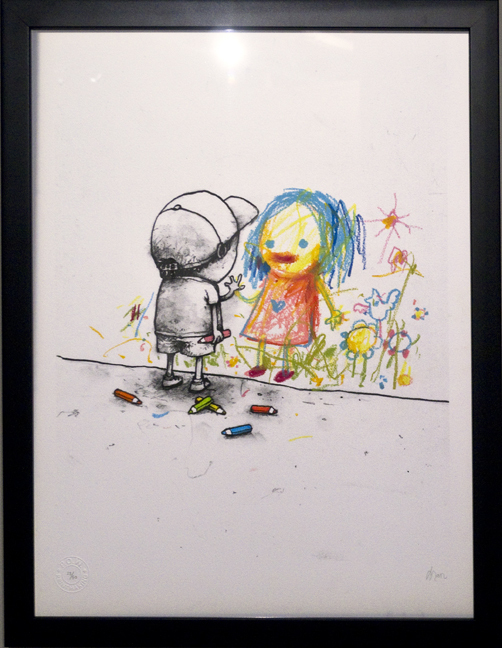 I enjoyed seeing the next generation of street-artists-in-the-making, huddled here for a lecture about Dran’s methods and message.